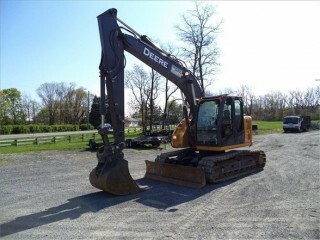 One of the most commonly used machines in the Construction industry, the excavator is a heavy piece equipment used to excavate or move large objects. An excavator is essentially made up of 2 parts: a driving base and a powerful boom arm with an attachment designed for excavating. Excavators come in different shapes and sizes depending on the use. The main advantage of excavators is to improve efficiency and productivity by reducing operating costs. Wheeled machines that are enhanced by hydraulic fluid powered by hydraulic cylinders. 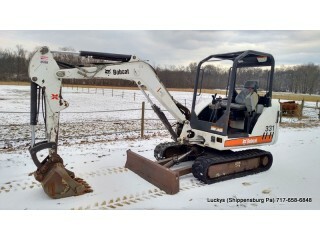 This type of excavator consists of a work group, under carriage and house. The type of excavator is the most well-known kind and is the main type on the market. Crawlers are very large and are built to release heavy work such as mining. Standard augers are capable of most digging tasks. However, for tough digging conditions augers with Tungsten, Carbide, or Diamond teeth may be required. Used for tough jobs such as breaking stone or concrete. Usually made of hard steel with teeth on the digging edge, to guarantee maximum digging and scooping performance. 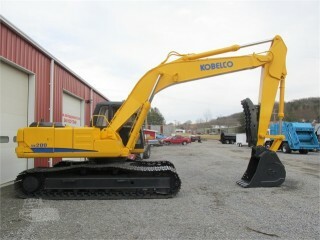 Allows operators to pick up large material such as concrete, tree stumps, etc. that would not normally fit in the bucket. Used for landscaping operations such as chopping tall grass or shrubs where an average mower wouldn’t make the cut. This attachment can be angled to use as a shrub or hedge trimmer. The flails are designed to bounce off of immobile objects. Used for picking up large pieces or amount of material; some are designed for tough construction jobs and others for waste handling operations. Make wider turns: Sharp turns or pivoting can lead to accelerated wear and escalate the potential for de-tracking. Avoid harsh environments: Rough asphalt, concrete, or other coarse materials can damage the tracks. Reduce unnecessary spinning: Track spinning can lead to wear and decrease productivity, make wide, less destructive turns. Choose the correct shoe width: Select the appropriate shoe width depending upon the weight of the machine and application. More narrow excavator shoes are ideal for hard soil and rocky conditions due to their soil penetration and grip. Wide excavator shoes generally work well in soft underfoot conditions because they have more flotation with lower ground pressure. Choose the right grouser: The number of grousers per shoe will be contingent on the application. Normally, the greater number of grousers the track has, the more contact the track has with the ground, vibration is reduced and the track will last longer in harsher conditions.